Undoubtedly we, ladies, wait with bated breath for what winter fashion will carry for us; scarfs, mittens and ice caps carry wintry overtones, but it’s important to know how to use them properly as the actual look will not fully depend on the accessories. 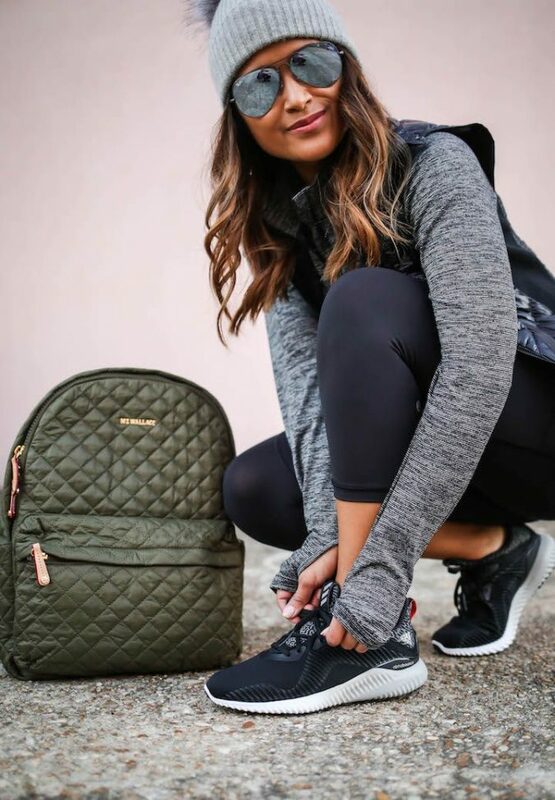 Pouted prepared you a list of 5 casual winter outfits that comprises the actual style you can yearn for in order to look the best. You may not find such style on the street every day, but it is feminine, so it will not be out-dated. So how to attain such a look? 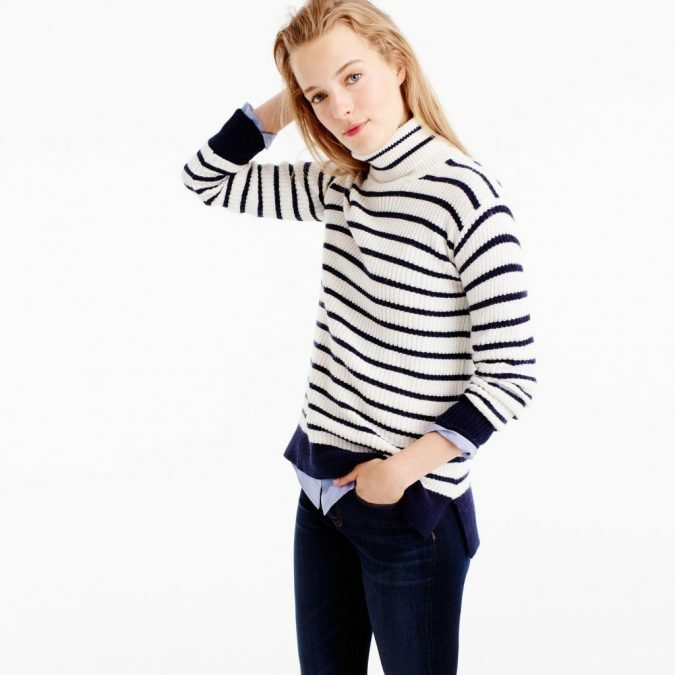 You can get a turtleneck sweater as a top; preferably plain or striped. Then rock the dance floor the mini skirt. 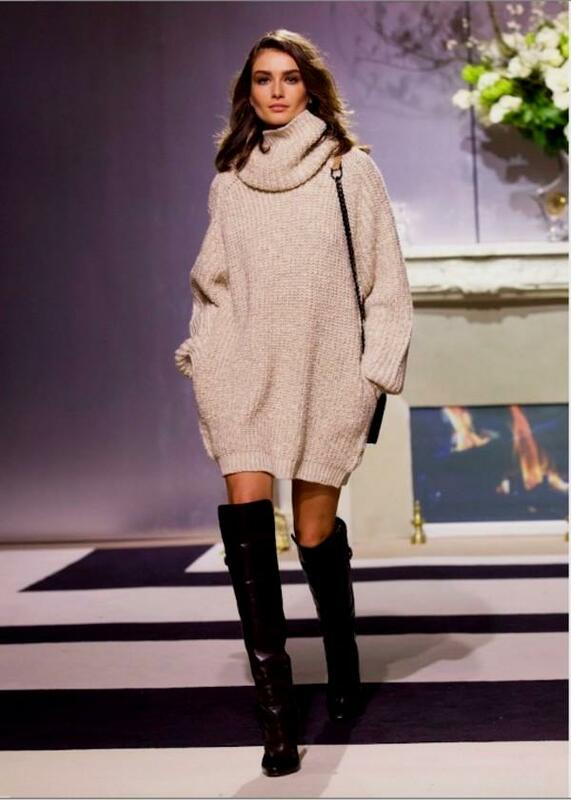 Surely we, ladies, yearn for keeping ourselves classy and warm on cold winter days, so wear an above the knee length boots. Flaunting such mini skirt feels like you are in London, Paris or Amsterdam vibes. It is not only a look for late night wild parties but also so casual that you can hit cinemas, theaters and cafes flaunting it. 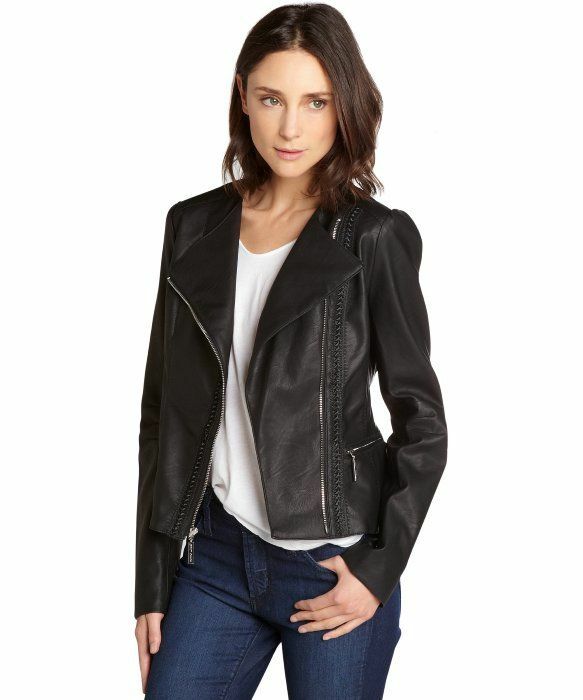 Black Vegan leather jacket features silver zippers and snaps along the collared neckline, long sleeves, and belted hem. 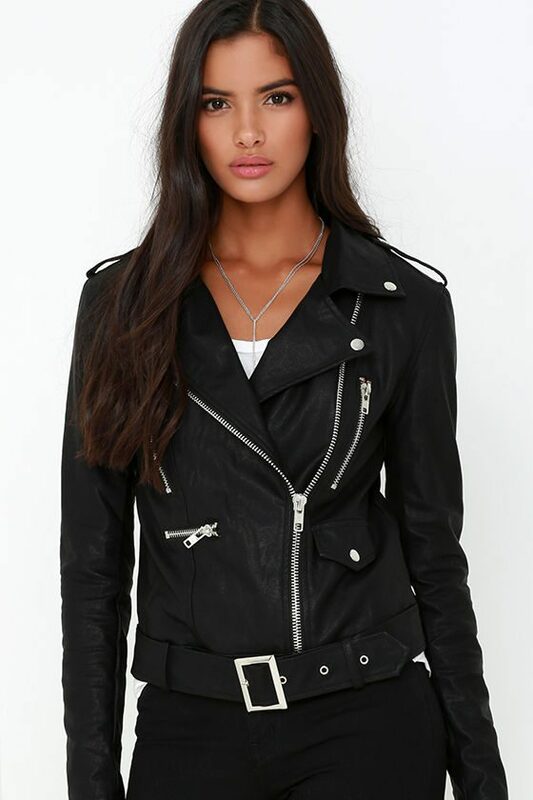 The jacket is quite asymmetrical for a casual wild-like one. In addition, it features other functioning silver zippers on the chest and the sleeves. 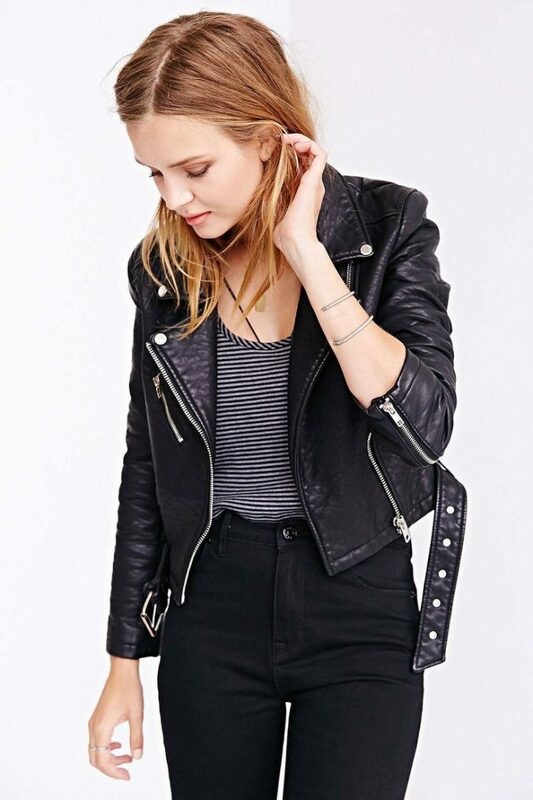 Moreover, you can yearn for ripped jeans, boyfriend jeans or black skinny ones, as long as you are keeping the casual look, and you are not going for a formal trousers or skirt made of cloth. What makes turtleneck sweaters pretty cool and stylish is that you do not need a scarf to protect your neck or throat. Turtleneck is like a stitched scarf. The length of the sweater is preferred to be medium size, which means it should go along down the waist a little bit. If the sweater is lightweight, you can put it in your trousers. Skinny jeans are perfect for such style, and, of course, you can opt for the knee ripped jeans; we totally know that ripped jeans are in. 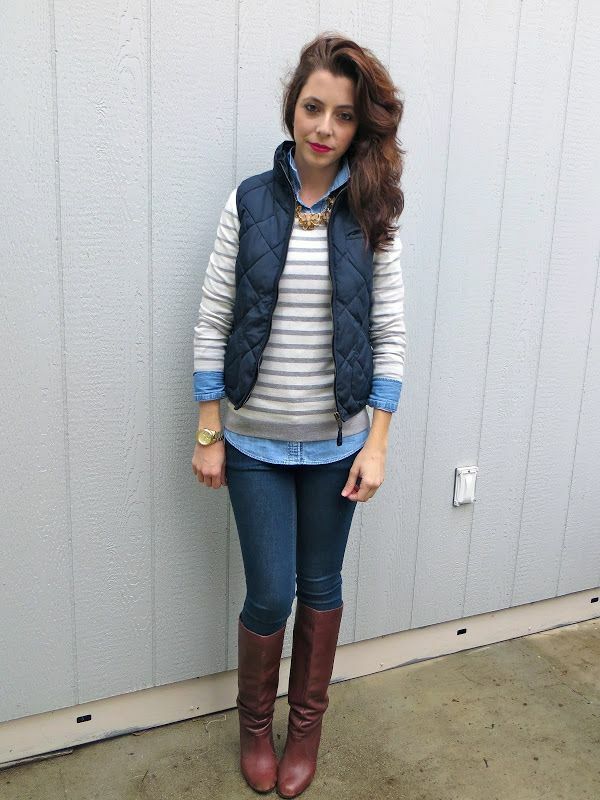 In addition, high boots will totally render your look fashionable and up-to-date. For more terrific look, let your hair down, it can be straight of a little bit wavy. Can’t you feel the winter vibes?! Apparently, vests strike again in 2017 as they have caught the fantasy of ladies all over the world. Moreover, it is the most casual off-duty wear. To adjust the style, begin with a soft sweater featuring a slim fit and long sleeves. 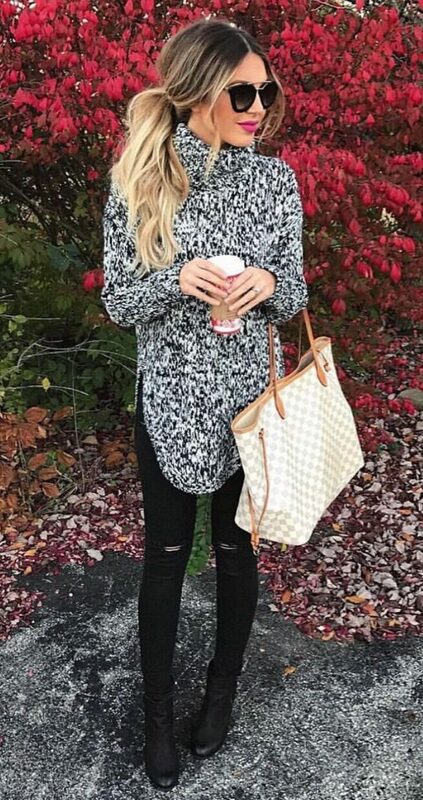 Not only are soft sweaters suit the best for the style but also cotton shirts with long sleeves will perfectly modulate. 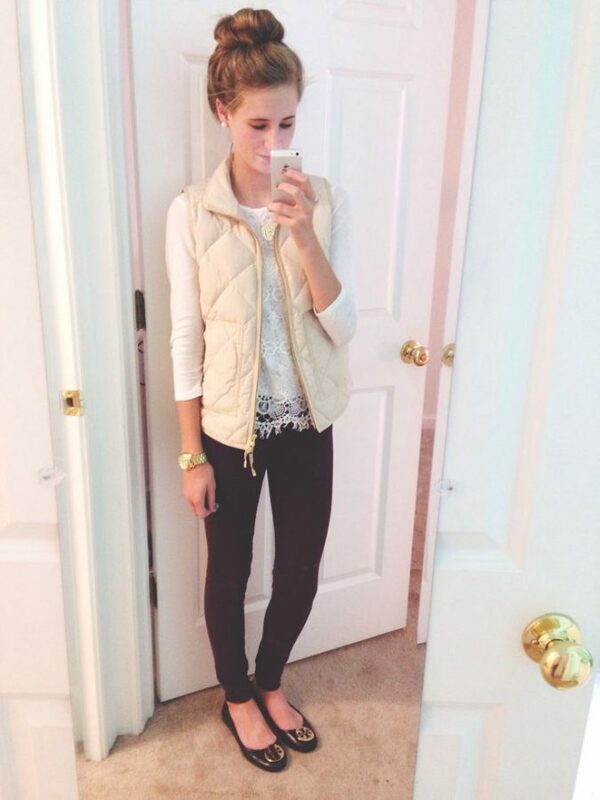 Okay, here is the cornerstone of the style: the slim and lightweight vest. Anyways, the vest keeps you warm enough and chilly. 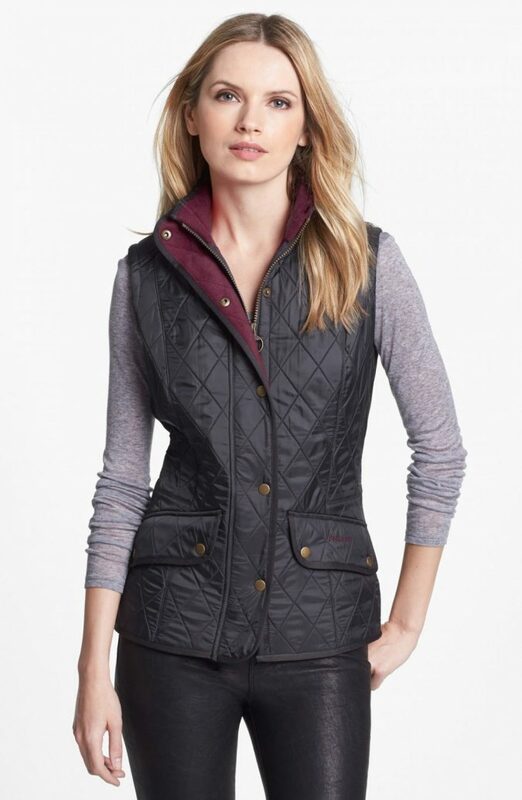 The vests feature standing collar, zip closure, and Pockets. Be ready to flaunt the stiletto low-rise distressed skinny jeans. Also, there is no other causal style that yearns for ice caps as this one. This style is likely to be number one on the list of winter fashion for so long. Even though such style has been the jewel of the crown since ever, ladies never lose interest in it. Not only we, ladies, adjust the style but also men do! It is everyone’s favorite. When it comes to the shirt, you can choose one that is plain, checked, striped or with polka dots. Any shirt that you are willing to show its collar and cuffs. Anyway, v-neck and crew neck sweaters are perfect choices for such style as, of course, one of the purposes is to show the collar and the cuffs of the shirt underneath. Eventually, outfits are just separate items combined together, creating a whole new look. So after reading the article, make sure that when you have similar items with a different style or color, you modulated and mold them into a new thing with your fashionable touch.